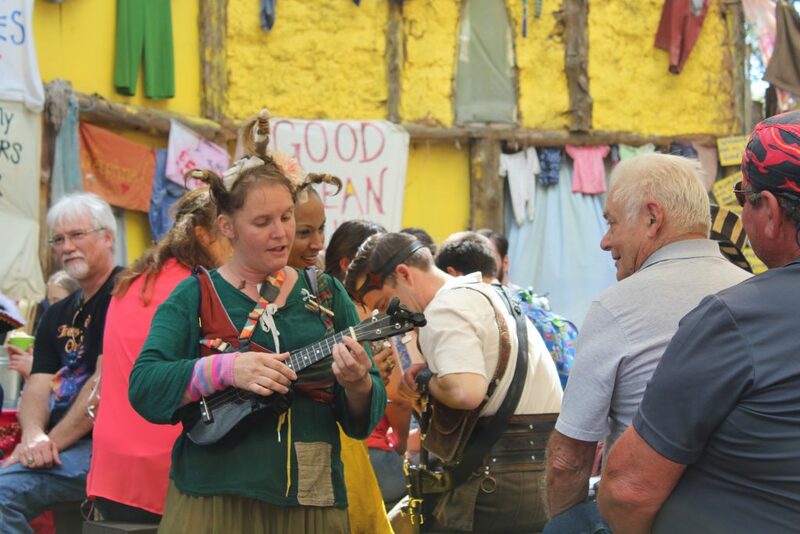 Have you ever run across a merchant artisan or vendor that you wish you could share with the world? No, this is not a paid advertisement; we’ve not been compensated in any way for this post. We’ve just found a gem, and are so impressed that we want to share it with you. Every artisan has a story and at the Austinot we love to hear these stories. 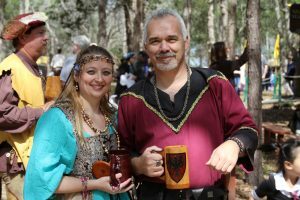 Recently, we met up with Arik Helman at the Sherwood Forest Faire and asked him to share his story with us. Arik is one of the driving forces behind Son of Sandlar, perhaps the finest provider of Renaissance boots for Renaissance faires and Live Action Role Play (LARP) events in the country, and quite possibly the world. How can we make such a bold claim? The Helman family has been perfecting the craft of cobbling since long before anyone reading this post was around. They’ve been in the cobbler business for six generations. I don’t know about you, but I really love traditional fair food: roasted corn, scones, turkey legs and funnel cakes. Just thinking of these things makes my mouth water, and I immediately want to pack the car and head to the nearest fair. But what if I told you that perhaps the most popular dish at the Sherwood Forest Faire, named one of the country’s best Renaissance fairs and located just 35 miles east of Austin on Hwy 290, was not any of these traditional favorites…but – instead – an Ogre’s Toe. Would you dare eat an Ogre’s Toe? 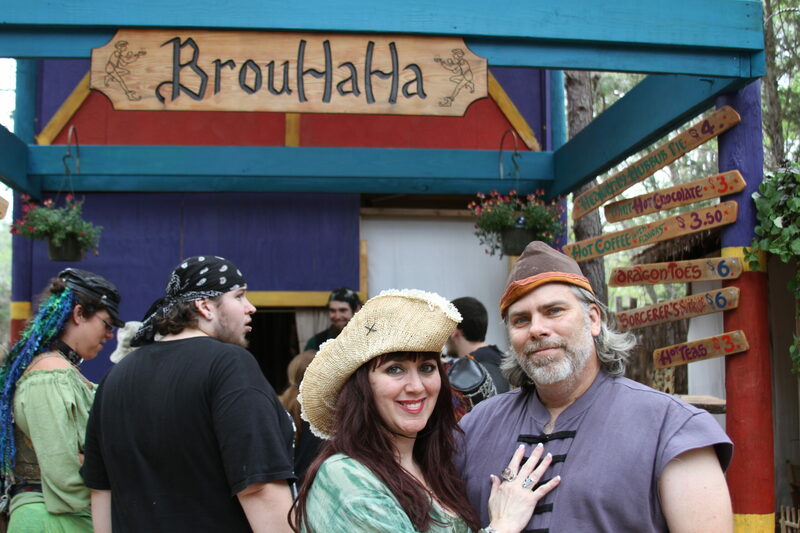 What if I told you that for 3 weeks, by far, it was the most widely talked about food item that I heard of while walking around the 25 acres of the Sherwood Forest Faire? Would you give it a try then? 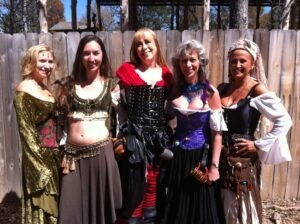 You’ve never been camping until you’ve camped with a Renaissance fair clan. A clan is a group of people from different walks of life who, over many years, have formed a unique bond with one another. Through the magic of the Renaissance fair, they have become a true family. So it was suggested to me that I ask a clan if I could camp with them. To understand why this was such a privilege, remember that clans are a family and relatively private to outsiders. Allowing a stranger to pitch a tent in your clan’s campground is akin to allowing a complete stranger into your home to sleep. Welcome to Episode #1 of the Austinot Podcast! Upcoming posts on the Austinot! Austinots Eric and Brittany are a little bit quirky and a lot bit fun, and they help you discover hidden gems in your own backyard. Thanks for stopping by, and enjoy the show! 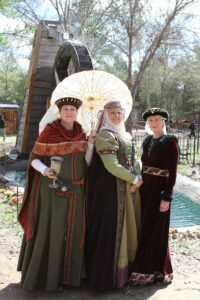 Travel back in time with me to one of the world’s best Renaissance fairs, the Sherwood Forest Faire. Nearly 100,000 people have attended since Sherwood’s opening on February 27th, 2010. 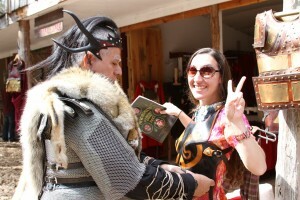 So read on, my Renaissance fair friend, and see why you too should come and join the revelry.